Belle Donne is the brainchild of Nadia De Beer. Inspired by great once-off designs, Belle Donne is the trendsetter in Bridal Fashion. Our bridal store is an intimate wedding boutique based in the Tygerberg Hills, Northern Suburbs, Cape Town. We are easily accessible from the N1 highway and we will welcome you with warm professionalism on arrival. Our bridal boutique comprises all of what Nadia believes in. It exudes true beauty, elegance and comfort for the Bride-to-Be. Our elegant boutique offers limited edition wedding gowns which ensure that brides-to-be has the opportunity to look completely unique, fashionable and glamorous! 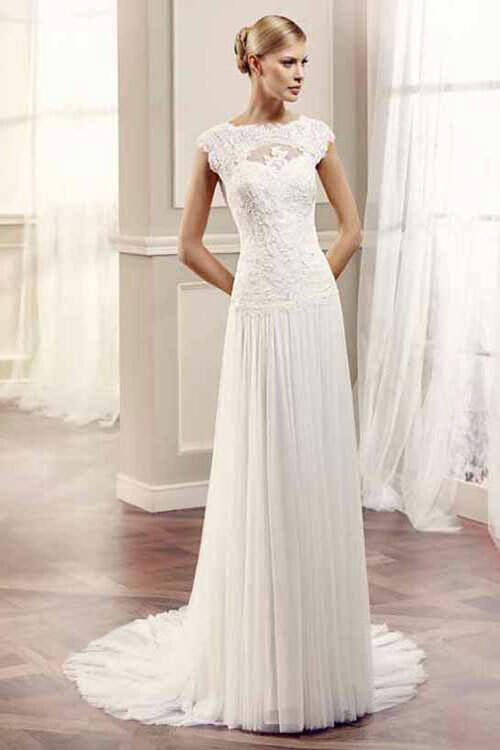 We have combined a superb fit of the wedding gown, with a couture finish. We thrive on bringing attention to detail. This sets our wedding dresses apart from the many other designer labels. In other words, we make your wedding dress profoundly memorable. At the heart of each Belle Donne wedding gown, is luxurious fabrics and exquisite beading. The use of authentic pearls and diamante adds the perfect shimmering, head-turning sparkle.